Graduating with a 2:1 from Jordanstown in 2016, I soon entered the workforce and have been employed since. Working in a range of statutory and voluntary sectors across Ireland, my roles have continually focused on supporting those who are marginalised and most at risk in our society. I have enjoyed positions in youth work, parenting support, early intervention and most recently have focused my professional career in community work. I currently work with young people between 16-19 years old who have been in and out of the care system. Our project was established to give them an opportunity to get a flat for themselves and begin the journey of independent living was 24 hour support to hand. At school, I always dreamed of becoming an engineer with technology and maths being my favourite subjects. When I was 16, I changed school and sadly couldn’t complete the A-Levels I wanted, which resulted in me studying English, Drama and Politics and getting the UCAS points needed to study Youth Work. Sometimes life moves you in a direction you hadn’t planned for and that’s really how I ended up working in this field. When I was completing my A-Levels, I began volunteering at a youth centre and my eyes were opened to a new type of career. 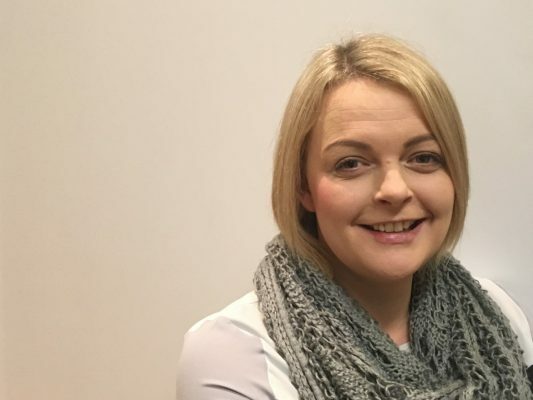 Volunteering evolved in to paid youth work roles and, using this new interest, I applied for Youth Work at Jordanstown and took on a variety of temporary roles to experiment in different areas but always moved back to working with teenagers. Engineering was my childhood interest but maybe it was based on the subjects I liked at school or the teachers who taught them. If I had gone to study the subject at University, perhaps I would have discovered it wasn’t for me. In your teens, it’s a hard task to pre-plan your life and career without much lived experience. I never thought that the things I enjoyed outside of education would ultimately result in a career. The biggest and most important part of gaining employment in this area is experience. Get as much volunteering in as you can to help you develop a tool kit of resources. Like everything these days, it’s important to have your Maths and English, but most of this work is about you as a person and how you interact with others. The other positive to this role and similar roles is you don’t have to be academic, there are so many ways into this work and some are very hands on. You can go from volunteering, to doing certificates in youth work and build it up gradually. There is even a young leader’s certificate so if you knew early on this was for you, you can start from an early age. Within my role and the staff within my team, it is important to care. This isn’t a job that you just come in and do, switch off and go home. You must really want to make a difference and have an interest in those you are supporting. You need to develop resilience to cope with the ups and downs and the emotional attachments that come from working with people. Patience is also key, everybody reaches different stages of development and milestones at different times and this is greatly impacted on what else is going on in their lives. The most important skill though is to have fun at what you do. Every day is different, that’s the best thing about the job is. It is never boring, and you never know what your day looks like until you are in it. On a typical day, I spend time with a young people supporting them to develop and achieve personal goals. It varies so much from person to person too – for one it could be attending college or going to the cinema, another it could be completing job applications, cooking or budgeting. It also includes paper work, attending meetings and working as a team. The best part of the job is seeing change in the people you support, which is greatly helped from working in a team who I consider as a second family. Like with any job, there are some elements that you’d love to change such as more hours in the day or less emails to respond to. More young people are experiencing homelessness and are being diagnosed with greater complex needs. This role gives vulnerable young people a voice and fights for the time, support and rights they deserve. The people I work with each day are often judged before even given a chance and this can have an impact on their confidence and opportunities in life. It’s important to find out if this type of work is for you and my advice would be to get experience and ask questions along the way. Many people quickly find that the work often means anti-social hours and a level of physical and emotional activity that they hadn’t planned for. For those who do decide it’s the role for them, they’re gifted with a job that isn’t your normal office 9-5. The importance of weekend and evening work comes in to play when you receive that message at 11pm from a young person who has decided life isn’t worth living. Ben was only 16 when he texted me asking for help. This is a young man who has been in and out of care, abused as a child and on severe medication. It makes the job worthwhile when a client who never trusted anyone in their life, and rightfully so, has made the decision that someone cares about them – and that person was you. Now Ben is living successfully in the community and attending college daily, a chance he may not have had if our project wasn’t here to support him. I would love to be a personal secretary or an events planner, I am crazy organised and love seeing things go to plan! If you could go back, what is the one piece of advice you would give to yourself on your first day? To not take things too personally, you need a thick skin, but you also must balance it well with empathy, and enjoy it taking one day at a time. Being a mum to 2 boys there is no such thing as a day off but being with them is enough. It usually involves hockey and swimming, baking and painting, computers, homework and lots of noise. If I had a complete day off I enjoy cleaning and getting the house in order and a good walk along a beach, a film and to not have to cook just for one day.